Simple really – we’re the absolute lowest cost best £ for £ combined new customer referral and quality industry information website that you will find in the UK. 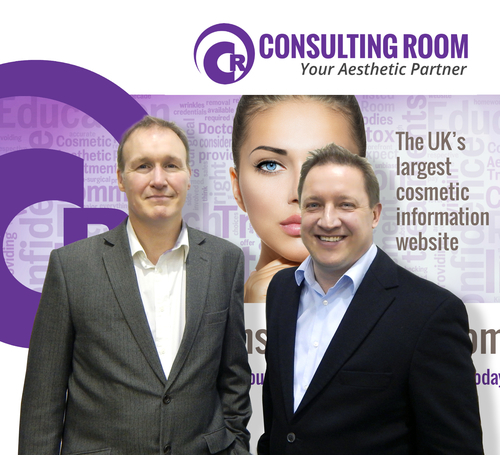 For just £32.00/month (or £16 for “single speciality businesses”) you can benefit from the same service that we have provided for hundreds of aesthetic clinics and practitioners (from the largest companies to the smallest businesses in our industry) since we launched The Consulting Room in 2003. Watch our video below, presented by directors Ron Myers and Martyn Roe. Or see what our members say, view a summary of membership benefits or check out our credentials here – www.theconsultingroomgroup.co.uk – to find out more about us. Please note, we are no longer offering a 100% money back guarantee option for new members. However, we are so confident in our range of services, and how we can be your aesthetic partner by helping you to build your aesthetic business, that we think you won't need it. CLICK HERE to join today, email questions to admin@consultingroom.com, or phone 01788 577254 for more info. Please note that Consulting Room is for clinics in the UK & Ireland only.